NOMU the best and high-quality rugged phones Chinese manufacturer has launched the NOMU M6 in Germany, which is the slimmest rugged smartphone. The device is protected by an IP68 which is certified as this phone is completely shockproof, dustproof, waterproof and the smartphone is dropped from the hand it will not crack easily because the NOMU M6 is a MIL-STD-810G certified ultra drop-proof. Actually, these rugged phones are made of good quality and no need for a protective case. The NOMU M6 Rugged Smartphone comes with a 5-inch capacitive Display with a resolution of 1280x720 pixels and is protected with a Corning Gorilla Glass 3. There is an 8MP Sony rear camera with F/2.0 aperture, autofocus and a 5 MP front camera with soft flash for selfie recording. There is an advantage that you can use this phone for selfies while swimming. 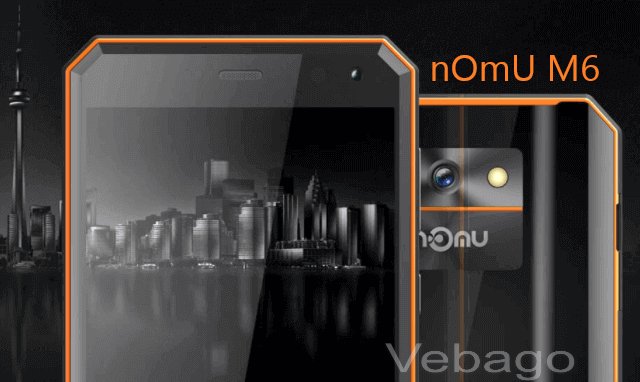 The slimmest rugged smartphone Nomu M6 sports a 3000mAh Li-polymer battery that supports 5V/2A fast charging support. A 1.5GHz Quad-core MTK6737T chipset processor powers the NOMU M6 smartphone with 2GB RAM and 16GB ROM, which can be expandable using an SD card up to 32GB. The smartphone measures 143.8 × 73.4 × 10.3 mm and weighs 322g (with battery). The device is equipped with an Android 7.0 Nougat operating system. The phone also features with a Smart Wake-up (After double-clicking the screen, the mobile wakes up and displays the lock screen) and Pocket Mode (Larger Ringtone volume when the phone is in the bag). The phones back designed with a stunning mirror-like rear cover and a sophisticated 3D curved technique. The three-dimensional effect gives a stunning look to the device and has a Face ID Unlock feature. The smartphone comes with a 2 Nano SIM Cards or 1 Micro SIM Card + 1 Nano SIM Card. The device also features a 4G, 3G, 2G, Bluetooth 4.0, 3.5mm Audio Jack, Microphone, Micro USB Slot, Speaker, GPS and Glonass, WiFi 802.11 b/g/n.